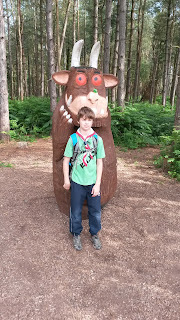 On Saturday we took the Cubs to Delamere Forest in Cheshire. We had a very early start, the coach left at 8am, but fortunately everyone was on time! Everyone was very excited about visiting Go Ape in the forest and the Cubs were looking forward to going on the zip wire. There were two coaches so we had been given a time slot to visit Go Ape, ours was in the afternoon so we explored the forest in the morning. Delamere Forest has a Gruffalo trail, an orienteering course based on the story of The Gruffalo with a carved Gruffalo at the end of the course. It is probably more suited to younger children but the Cubs used the map to find their way around the trail and answer the clues which were dotted around the forest. After lunch we went to Go Ape and the Cubs were fitted with a climbing harness and given all the safety instructions. They were all keen to get started and they had a practice on a small walkway. 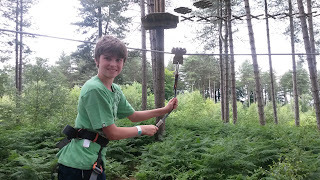 Once they had got the hang of clipping on and moving around the course they were allowed to go on the high ropes course. Some of the wooden bridges were quite wobbly but all the Cubs were great and managed to get around quite quickly. We had an hour slot so they could go around as many times as they wanted in the hour. 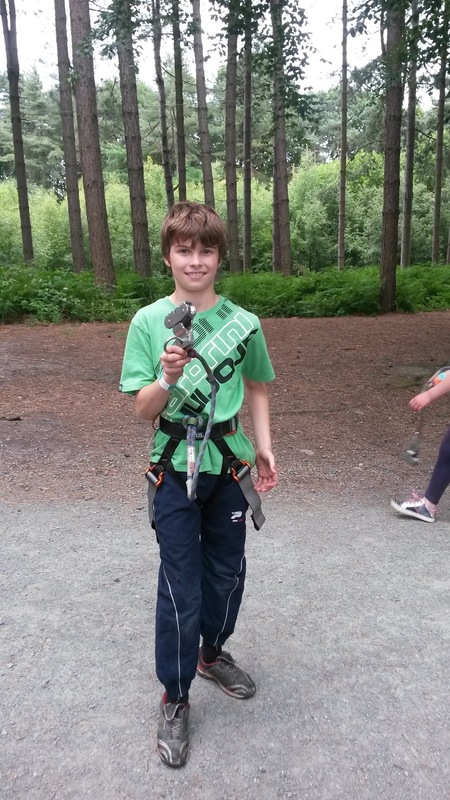 At the end of the course was a zip wire which they all enjoyed. We all had a great day out and I'm sure the Cubs will be asking their parents if they can go back and visit again. There are lots of cycle trails in the forest so I would like to go back with the boys and take our bikes and explore the forest properly.